UNITED NATIONS, May 9 2012 (IPS) - The U.N. Environment Programme (UNEP), whose mandate includes the preservation and protection of the world’s fast-degrading oceans, will play a pivotal role in Expo 2012, an international exhibition to be formally opened later this week in the coastal town of Yeosu in South Korea. 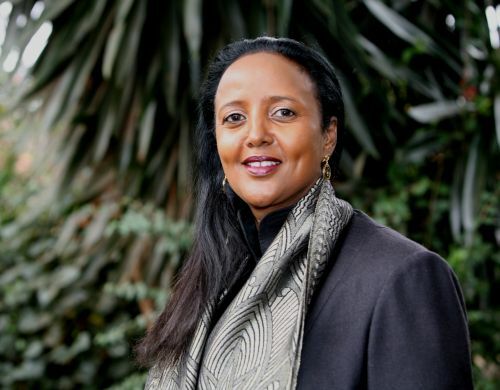 “From the U.N.’s perspective, the seas form part of what is commonly referred to as the ‘global commons’, and as such, any threat to this global resource ought to be addressed,” Amina Mohamed, a U.N. assistant secretary-general and UNEP‘s deputy executive director, told IPS. She pointed out that the largest creatures in the world live in the oceans (blue whales) as well as the smallest (bacteria). “Protecting our oceans is tantamount to protecting our planet and is critical for long-term sustainable development,” said Mohamed, who is also co-commissioner-general of Expo 2012 and a former Kenyan ambassador to the United Nations in Geneva. The primary theme of Expo 2012, which runs May 12 May through Aug. 12 – is “the living ocean” and the protection of the world’s marine ecosystems. The U.N. Pavilion located in the exhibition site will bring together more than 20 U.N. agencies and international organisations, primarily to showcase their collective efforts at the sustainable use of oceans and coasts. The participating agencies include the U.N. Development Programme (UNDP), the International Maritime Organisation (IMO), the Food and Agriculture Organisation (FAO), the International Seabed Authority, the Intergovernmental Panel on Climate Change (IPCC), the International Ocean Institute and the World Food Programme (WFP). In an interview with IPS, Mohamed said that UNEP, as the lead U.N. agency, will coordinate the preparatory work of the agencies, as well as their participation. She pointed out that coasts and ocean resources are key to economic development and growth, and therefore offer the potential for transitioning to a green economy and a sustainable future, as envisaged by the upcoming Rio+20 summit of world leaders in Brazil in June. Q: How important is the protection of marine resources in the context of the global environment? A: Protection of marine resources, and specifically oceans, is extremely important for a number of reasons. Oceans comprise more than 70 percent of our planet, are crucial to sustaining the Earth’s life- supporting systems, especially in regulating our climate, and provide food and income to the billions of people who depend on marine ecosystems for their livelihoods. Indeed oceans, coasts, and islands are vital suppliers of diverse resources and ecosystem services that are essential for the survival of human civilisation. We must remain deeply aware of the importance of the oceans, coasts and islands so that they continue to serve as a source of prosperity for humankind. Oceans, coasts and islands have also functioned as foundations for cultural development throughout human history. Consequently we must increase our efforts to protect and develop maritime cultures in order to help them conserve marine resources sustainably and ensure the equitable sharing for present and future generations. In addition, oceans constitute a conduit for trade and exchange that connect the economies of the entire world. In light of the oceans interconnectedness, all nations of the world should strive to make it a place of safe navigation and welfare for all mankind. People depend on all of these for their wellbeing. And every second breath we take comes from oceans’ oxygen. Q: Will Expo deal with related issues such as the rise in piracy and also the Law of the Sea (which was essentially the creation of the United Nations)? A: Visitors to the U.N. Pavilion will have the opportunity to learn about the United Nations Convention on Law of the Sea. However, the theme of the expo may not address the issue of piracy directly but we are keen to deliver the following key messages, namely that oceans are the heart and lungs of the planet and determine every form of life that inhabit them. Q: What specific messages do you plan to convey regarding the world’s oceans at Expo 2012? A: Coasts and oceans are resilient but have their limits, and so if millions of tourists enjoy them every year and if limited fish stocks are over-fished, we need to give them time to recover. Care and sustainable use can make a difference. Additionally, land-based activities such as agriculture and industries have a significant impact on the overall quality of our oceans. Poor use of resources leads to the generation of pollution loads through wastewater discharges and air pollution emissions. To this end, we must remember that removing pollutants is more expensive than avoiding them in the first place. Oceans and inland water resources also provide important sources of food, nutrition and income for billions of people. Q: Will protection of marine resources be on the agenda of Rio+20, billed as one of the biggest summit meetings on the global environment? A: Protection of marine resources will be on the agenda of the Rio+20 conference. Under this item, discussions will focus on various matters, including the role of oceans in sustaining Earth’s life support system; sustainable exploitation of the oceans and their resources; conservation, sustainable management and equitable sharing of marine and ocean resources; economic, social and environmental contribution of coral reefs to island and coastal states; significance of the Global Marine Assessment process; impact and prevention of ocean acidification, restoration of global fish stocks, conservation and sustainable use of marine biological diversity. In addition to this prominent feature of oceans in the Rio+20 text, there will be an ‘Oceans Dialogue event’ in Rio on Jun. 16 at the Rio Conventions pavilion. And arrangements have been put in place to celebrate ‘Oceans Day’ (during the summit). Q: Regarding the impact of oceans on humans, how threatening is sea level rise on the world’s smaller island nations such as Maldives, Tuvalu and Solomon islands? Does UNEP have a role here? And can the Expo provide any guidance to these countries? A: The rise in sea level poses serious challenges to the whole world. It is estimated that sea levels have been rising at an average rate of 2.5mm per year between 1992 and 2011. This scenario clearly supports the view that small island nations remain a special case for sustainable development in view of their unique and particular vulnerabilities. The vulnerability of small island nations has worsened over the last two decades if the rate of rising sea level is anything to go by. There exists therefore a strong basis for increased efforts to assist small island nations to deal with this global challenge including the need to convene a third international conference for the sustainable development of Small Island Developing States (SIDS) in the very near future. UNEP is uniquely placed to provide information that would assist the Small Island Nations deal with their vulnerabilities. We have for instance published a report titled “Green Economy in a Blue World” which sets out several options that address challenges faced by these countries. These options range from transition to green growth in fisheries to developing a sustainable tourism sector.